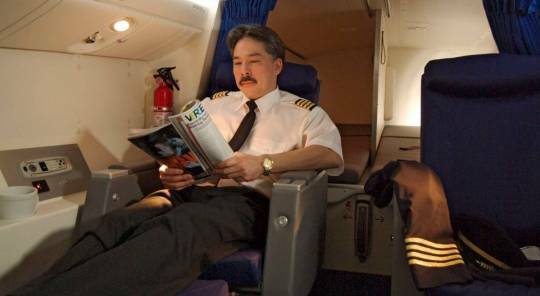 It depends on the plane, but usually crew rest areas are hidden behind the cockpit, above first class, like on this Boeing 777. 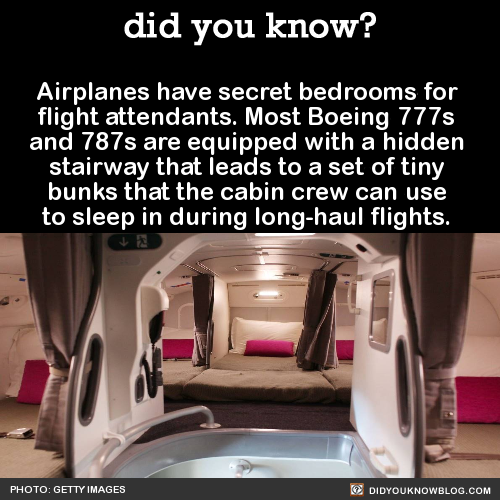 Secret stairs, which are hidden behind an inconspicuous door that’s usually near the cockpit, lead up to the bedrooms where the cabin crew sleeps. Upstairs are cramped, windowless bedrooms with no room to stand up. Some are nicer than others. 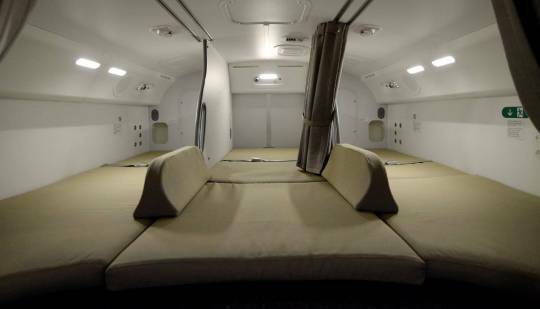 On the Boeing 777, pilots have their own overhead sleeping compartments, which feature two roomy sleeping berths, as well as two business-class seats, and enough room for a closet, sink, or lavatory, depending on the airline. 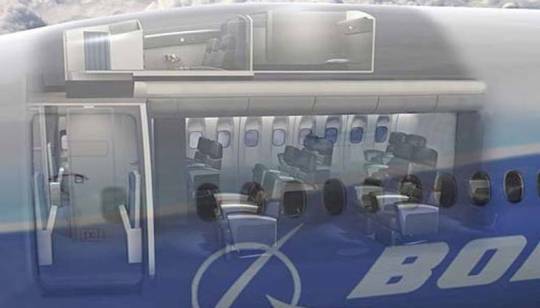 No ‘Mile High Club’ though. Sad face.